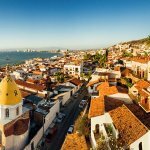 What do foreigners do once they make the move to Puerto Vallarta to form part of the full time community? The list is endless and there is something for all ages and styles of life. Why of course the beach should be at the top of the list. There is such a variety of different types of beaches in Banderas Bay. You can find endless stretches of beach to stroll or jog, beaches with beautiful coves and tidal pools, beaches that have such calm waters you can do laps every morning or paddle surf, beaches with small waves to learn to boogie board and beaches with high surf to test your skills at suring. There are beaches that are packed with people and beaches where you won’t see a soul. Get ready to explore because there are not enough days in the year to see all the sands that Puerto Vallarta has to offer. During high season (October thru May) Puerto Vallarta is proud of Vallarta’s South Shore’s the Old Town Farmer’s Market which happens every Saturday from 9:30 to 2. Get ready for a variety of locally grown produce adorable jewellery, fabulous food, art, clothing, baked goods and jams and an array of fun stuff! Make sure to bring your shopping bag, family and your pet for a wonderful morning stroll which includes the best of Vallarta people watching and shopping! There are food vendors and usually live music. The old town market is located at Lazaro Cardenas Park adjacent to Los Muertos Beach. On Sundays there is a market in La Cruz de Huanacaxtle that also runs during high season. This market is a beauty located on the ocean. Enjoy amazing shopping opportunity, food vendors, live music and don’t forget that you can also grab some of the most fresh seafood in the bay at the open air seafood market located in the middle of La Cruz Sunday Market. Have Fun! Puerto Vallarta has more theatres than gas stations (well, not quite). The theatres are quite pristine and reasonably priced. At the new Isla shopping center there is a VIP cinema where you are treated like royalty, order food and drinks from waiters who will attend your needs throughout. If you have kids, there is a cinema adjacent to Pitillal that has a slide running all the way from top row down to a clean and fun kids area that can be enjoyed pre show. It’s not just about Puerto Vallarta when you choose to make the move to the Bay of Banderas. You would be missing out if you did not venture on beyond the bay. There are colonial towns, lakes, cities and a whole world out there to be discovered by YOU.